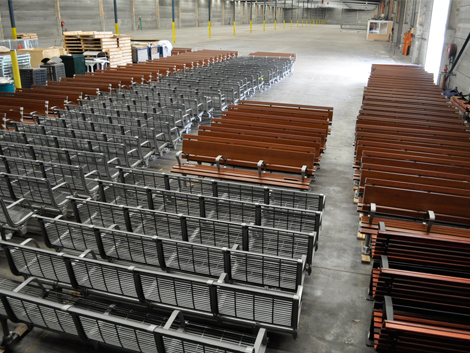 The Mall DDA Seat, Concourse 4-seater and Aero Leaning Rail have been chosen to furnish numerous train stations across NSW. As part of a $33 million upgrade announced by then NSW Minister for Transport Gladys Berejiklian in July 2014, new lighting, landscaping, paintwork and public furniture will be installed to improve Sydney’s stations. The latest in 3D printing technology was used to create full-scale prototypes for visualisation. 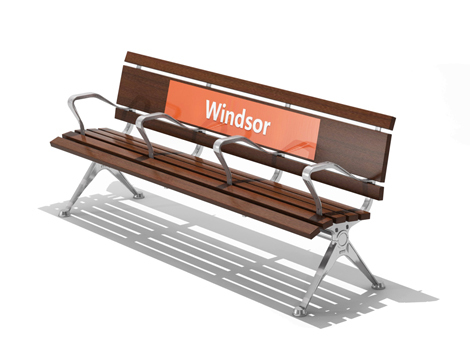 A key challenge for Street Furniture Australia was to modify the seats to allow for signage, as well as produce a high quantity of seats in a short timeframe. 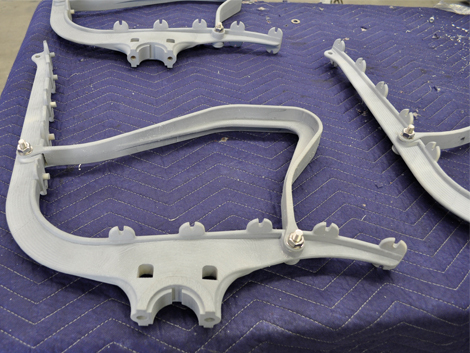 SFA approached the assembly process with lean manufacturing methods, to minimise waste at our Regents Park factory. The new Sydney Trains seats offer increased comfort and ergonomic armrests to make it easier for those who are less mobile to get in and out of a seated position. The Sydney Trains network is expanding rapidly, leading to high-traffic platforms and subsequent crowding during peak travel times. SFA’s new range of transit furniture responds to user demand for comfort. 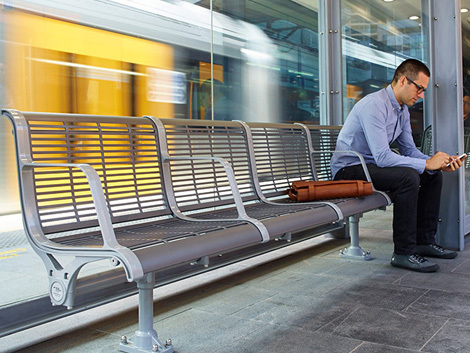 “Our design team has helped develop the safest and most ergonomic seating solutions to take the Sydney Trains network into the future,” said Bill Morrison, co-director of Street Furniture Australia. The collaborative design process with our clients ensured that seating ensured all safety and aesthetic requirements were met. The latest in 3D-printing technology was used to create full-scale prototypes for visualisation. The SFA team worked hard to deliver world-class speed and quality of production, as well as the design solutions that were put forward.